Bon Jovi is my favorite band of all time. I've been a fan since 'Runaway'. Jon's voice is amazing. The way his emotion and depth comes through when he sings physically affects me... 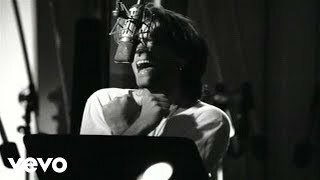 I will never get tired of Bon Jovi songs.... EVER!!!! I think that the song is saying even though he might be with someone else its not the person that he wants to be with because he is still lonely. Thank YOU Carlos, I was wondering what the meaning was behind this song..it sounded like an attempt to an apology but i wasn't sure. I think this song means that you want to lay your lover down on a bed of roses to prove your love for him or her! love this song, it reminds me of my lover c.j. !